Rabbi Ilan Glazer had to grow up fast. As a child, he learned to clean, cook, take care of the house and help with younger siblings because his mother had numerous health issues. At the age of 27, Rabbi Glazer’s mother Donna became jaundiced after giving birth to his older brother. She was diagnosed with several liver diseases. Even though the specialists warned she would not live to age 30, she was determined to prove them wrong. She went on to have three more children, living her life as an educator and rabbi’s wife. 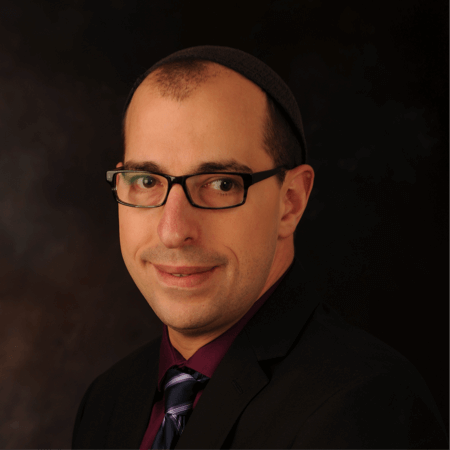 Rabbi Glazer remembers his mother as passionate about life and only having two speeds – fast forward and reverse. In 2003, Donna’s liver diseases forced her to need a transplant. Her children and mother had offered constant support over the years, and their encouragement during this latest crisis stayed strong. In addition, the Jewish community rallied together to raise the funds Donna needed for her transplant by giving tzedakah, money designated for acts of justice, righteousness, and repairing the world. When Donna’s transplanted liver regrettably failed, she waited at death’s door for a second liver, living in a friend’s house in a city far from home with her son Ilan at her side. After eight months, she finally received her second gift of life. She was incredibly grateful to her donors for giving her four extra years to spend with her family. Sadly, she succumbed to her many illnesses in 2007.